CHICAGO (CelebrityAccess MediaWire) — After a seven year stint with Paradigm, working out of their Nashville office, Josh Swann has joined the offices of Monterey International as a booking agent. Prior to his tenure with Paradigm, Swann worked with Al Bunetta Management, booking John Prine. 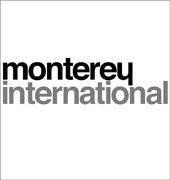 Josh can be reached at 312-640-7500 or via email at jswann@montereyinternational.net.